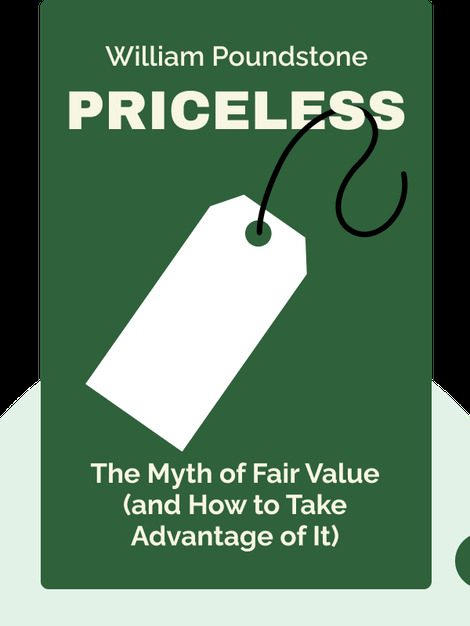 Priceless (2010) explores the psychological reasons behind the value and price we give to things. Through numerous experiments and case studies in pricing, the author explains how prices influence our purchasing decision and exposes companies that use pricing to increase profit. 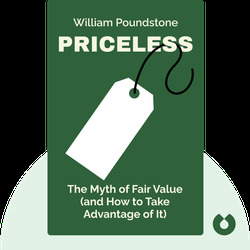 William Poundstone is the author of various nonfiction books, including Are You Smart Enough to Work at Google? and Fortune’s Formula.